This was my opening comment for the “Voices of Community Partners” Panel, during the Community Engagement to Address Tobacco-related Health Disparities Pre-Conference at SRNT. If you had told me a year ago that I would be asked to speak on a panel regarding smoking cessation programs, I would have laughed out loud. As a year ago, I was smoking a pack a day and on a really bad day maybe two. Fast forward a year and March 26th marks my one year anniversary of being tobacco free thanks to the Missouri Out, Proud and Healthy Project and the SAGE Metro St. Louis Smoking Cessation program. Many of the health disparities prevalent in minority communities can be directly linked to smoking. Represented in the host of speakers during the pre-conference were institutional researchers and community partners working with minority communities including Native American, African American, East Asian Youth, HIV and LGBT communities. The common theme heard over and over was the importance of building collaborative relationships between research institutions and community based organizations based on trust and open communication. The community partners have a unique position to bring cultural understanding to the forefront of health disparities work. The research institutions bring invaluable resources through grant funds, technical assistance and capacity building. These collaborations empower community based organizations to deliver critical services to minority communities for addressing health disparities which would often not be possible without the support of research institutions. 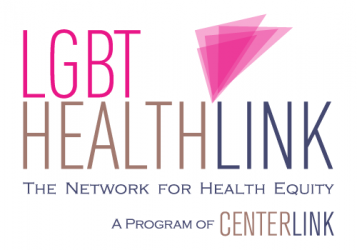 SAGE Metro St. Louis is grateful for the work of the Out, Proud and Healthy Project from the University of Missouri – Columbia for the work they are doing to address health disparities within the LGBT community. Through building partnerships such as these, we can leverage our resources, conduct cutting edge research and most importantly, deliver services to the LGBT community designed to decrease health disparities which have historically been overlooked. In closing, I encourage community based organizations to reach out in your communities to your research institutions and offer your support and partnership for the important work of community based research. It just might save a life! Sherill, we send you tons of support from Puerto Rico so that you remain smoke-free! Very proud to hear LGBT folks trying to quit. Certainly, the importance of university-community partnerships are the way to go. We are doing the same in Puerto Rico between the Medical Science Campus and the Comprehensive Cancer Center at the University of Puerto Rico and the Citizens Alliance Pro LGBTTA Health of Puerto Rico. It is the way to go! Good luck Sherill! Great blog!